“Dang, so far you guys want me to watch ‘House.’ I don’t want to watch ‘House,’” Tsuha laughed. Tsuha is an instructor with the philosophy and sociology department. He was formerly a professor at the University of California, Riverside. Tsuha now teaches full time at Pierce College. Tsuha connects with his students by meeting them on their level. His primary source of inspiration are his roots that reach back to Peru. Arriving in the United States in March 1992, Tsuha’s first impression of his new home was one of violence. The outbreak of the 1992 Los Angeles Riots fueled an outcry for social change. “My conception of the U.S. was that it was filled with criminals and gang members because that was the media at the time,” Tsuha said. It was an experience he would never forget. In October 1994 Tsuha joined protesters marching down the streets of Los Angeles in opposition against Proposition 187. The ballot initiative was designed to establish a screening system that would allow the state to deny illegal immigrants access to public services such as education and health care. Although Tsuha himself was a legal citizen of the U.S. many people he knew were not. After completing high school Tsuha pursued a degree in anthropology at UC Riverside. The direction of his education was set until he took a course called Inequality in America. The connection was immediate and forced Tsuha to change his major. That one class was all it took to change Tsuha’s perspective. Since then he has never looked back. During the years leading up to his residency at Pierce College Tsuha acted as the executive director of the Dolores Huerta Labor Institute. He has also organized peaceful demonstrations as part of the Fight for 15, an organization that aims to raise the living wages for minimum wage workers. As an undergraduate at UC Riverside Tsuha met a fellow sociology major who would later become his colleague and good friend. Professor James McKeever is the chair of the history, philosophy, and sociology departments. Though he was a student at the University of Southern California, McKeever met Tsuha through a mutual friend in the Minority Fellowship Program or MFP. 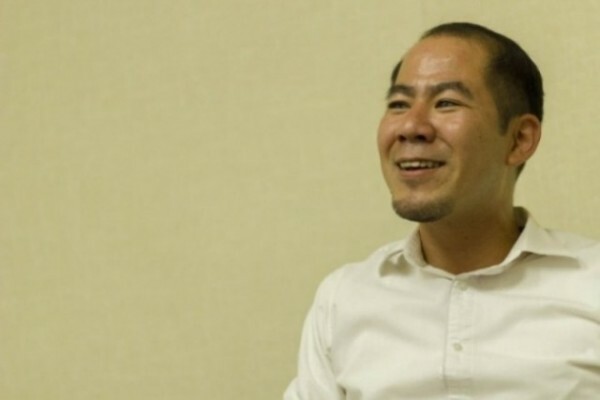 In the 15 years that they have known each other, McKeever is keen to Tsuha’s unique teaching style and his ability to engage with his students. One such aspect is allowing the class to select the shows he watches. “It lets students know that their input is valuable to you [the teacher],” McKeever said. This sense of awareness is one of Tsuha’s best traits. With this summer acting as his introduction to Pierce College, Tsuha’s first full schedule began with the fall 2015 semester. Among the fresh faces is Kelli Lewis, 18. Despite her aspirations to pursue deaf studies Lewis has taken an interest to sociology after listening to Tsuha’s lectures. The key to Tsuha’s success as a teacher, Lewis believes, is his ability to touch the lives of students. For Tsuha, every interaction is significant. Using the classroom as a stage, he shares observations and stories to elicit conversation. Sometimes the students respond with laughter, other times with collective murmurs. It is Tsuha’s wish that every student leave his class with a better understanding of the world in which they live. As an undergrad he was able to see things more clearly because sociology gave him “a window” to see through.